The moon moves into Scorpio today and stays there until Sunday. 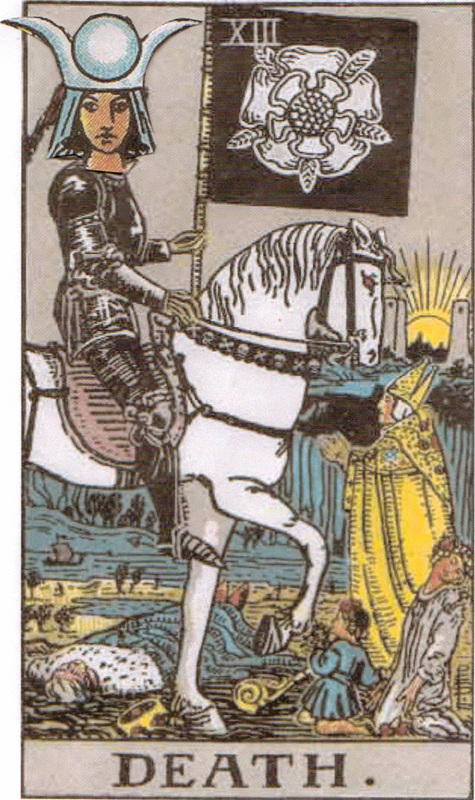 If you translate this transit into the Tarot, you could say that the High Priestess is dressed as Death. She’s in the midst of a great transformation. The Moon in Scorpio, or High Priestess in Death’s clothing, suggests a time when feelings run deep. The ability to end relationships that don’t work, or release stagnant emotions is accentuated. If there’s a situation in your life that’s nearing its completion, especially if it’s emotional or relationship-oriented, this might be a good time to let it go. At least explore it with emotional clarity. This isn’t a time to be afraid, but rather a time to face your fears with equanimity and intelligence. You’ve got what it takes. Don’t back down from the scary stuff. 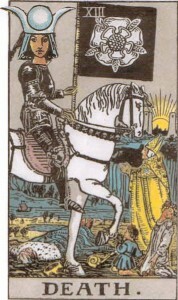 You are currently reading Moon in Scorpio – High Priestess in Death's Clothing at The Tarot Room.